In this fun game called Cowboy vs Martians defend your territory against the aliens! Use your revolver and shoot all the aliens that are approaching in the desert. Use your skills and finish the level as fast as possible. 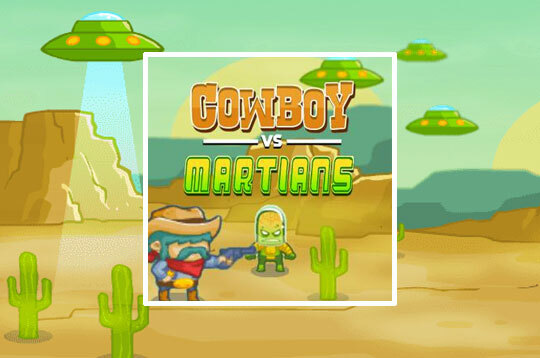 - Play Cowboys vs. Martians Free and Enjoy!